Is the Two-State Model for Peace Between Israel and the Palestinian Authority Dead? Arguably, the most intractable Middle Eastern challenge is finding a way to settle the Israeli-Palestinian debate over land. Since Israel?s victorious 1967 War, it has controlled the West Bank and Old Jerusalem, and, since the Oslo Accords of 1993 and 1995, both the Palestinian Authority and the state of Israel have accepted the premise of and have been working towards what is called a ?two-state? solution, where Israel would retain its sovereignty over much of the land it has held since 1967 but negotiate to create a Palestinian state out of the West Bank and Gaza strip. As 2017 ended and as 2018 has begun, there is speculation that the two-state solution is dead. Why? Suggesting that the two-state solution is dead stems from President Trump?s decision to sign a proclamation In December recognizing Jerusalem as the capital of Israel. That announcement drew protests from the Palestinians and other Arab nations and, at least in their minds, cast doubt on President Trump?s peacekeeping ambitions. In fact, the Trump administration is now declaring its intent to relocate the American embassy from Tel Aviv, where it is now, to Jerusalem sometime in 2019. How can this occur? Scouting a site, commissioning a design and building the embassy compound could take up to six years, according to State Department officials, and could cost $600 million to $1 billion. The plan, meanwhile, is apparently to convert the existing consular building in Arnona, a neighborhood in West Jerusalem, into the American embassy. However, the Palestinian Authority has consistently stipulated that East Jerusalem is the capital of the Palestinian state. The two-state model for negotiations has often worked from the premise that Jerusalem would be a shared capital for both Israel and the Palestinians. Trump?s move has apparently made this model superfluous. For that reason, Palestinian Authority president, Mahmoud Abbas, vowed never again to take part in peace negotiations brokered by the US. The Trump administration in turn has decided to withhold $65 million?or more than half the funding that the US generally provides?to a United Nations agency that aids the Palestinian Authority. Mahmoud Abbas has introduced another assertion into the Palestinian fury over President Trump?s actions on Jerusalem: He calls it ?the slap of the century? and argues that Oslo is dead? ?Israel has killed Oslo. It has terminated Oslo. Now we are an authority without any authority, and an occupation without land, and we will not accept this.? He reiterated his vow to reject American leadership of any peace talks and urged Palestinians to reconsider their signed agreements with Israel. In this very volatile situation, a new idea has come to the forefront of the discussion?a one-state proposal: Saeb Erekat, the veteran Palestinian negotiator, contends that President Trump?s declaration about Jerusalem was the death knell for the two-state solution and that Palestinians should shift their focus to ?one state with equal rights.? This proposal is getting some traction among Palestinians. What exactly does this mean? Palestinian supporters envision one state with equal rights for both Palestinians and for Jews. Palestinians would have proportionate political power and, according to New York Times reporter David Halbfinger, given ?demographic trends, would before long be a majority, spelling the end of Israel as a Jewish state. Israel would, under this idea, need to absorb the 3 million Palestinians that live on the West Bank, and, in doing so, would bring an end to Israel as a Jewish state.? A decade-old group called the Popular Movement for the One Democratic State, led by Radi Jarai, a former Fatah leader, is planning a media campaign to explain the idea to West Bank residents. Others are proposing drafting a prototype constitution for a single state or forming a political party in Israel and on the West Bank to push for it. The idea has significant support among the young Palestinian population, especially students and professionals, who have insisted for a strategy change since the Arab Spring of 2011. For the Palestinians, the one-state proposal would shift the struggle to one for equal civil rights, the freedom of movement, assembly, speech, and the right to vote in national elections. One Palestinian leader even declared that ?a Palestinian could be elected the prime minister.? Obviously, the state of Israel would not be open to this Palestinian one-state proposal, but, especially among the Israeli Right, abandoning the two-state model is something they already embrace. Many look at Gaza, from which Israel withdrew in 2005, and imagine a Palestinian state on the West Bank similarly overtaken by Hamas, the terrorist organization that now rules Gaza. This would never be acceptable to Israel, for Hamas could destroy the major airport of Israel, the David Ben-Gurion airport, very near the West Bank. Nonetheless, most of those within the Israeli Right believe practically that the two-state proposal is dead and should be replaced by an aggressive policy of annexing major parts of the West Bank (which they call by its biblical names of Judea and Samaria), and with what?s left of the Palestinian areas becoming a part of Jordan or Egypt in some type of confederation. This would not be an acceptable plan for the Palestinians and it is doubtful Egypt or Jordan would find it acceptable. Is the one-state idea truly a viable option? For Israel to absorb over 3 million Palestinians in one state would either end the nature of the Jewish state since 1948 or Israel would need to end its democracy by denying equal rights to the Palestinians. It is difficult to imagine Israel choosing either option. Currently, over 120,000 Palestinians work in Israel every day and the Palestinian economy is dependent on these workers. Today many of the Arab states (e.g., Saudi Arabia, Jordan, the United Arab Emirates) see Israel not as an enemy but as an indispensable ally in the common battle against militant Islam (e.g., ISIS) and the Shiite power centered in Iran. There is a growing dependence among the Arab states on Israel and they continue to seek Israeli technology to help their economies. All of this explains why the uproar over Trump?s decision about Jerusalem in these nations has been rather minimal. Israel?s population of 8.5 million enjoys a prosperity that is unknown in the rest of the troubled Middle East. Israel has more companies on NASDAQ than almost any other nation outside of North America and ranks third in the World Economic Forum?s ranking of most innovative economies. Israel recycles 87% of its waste water, five times more than the runner-up. People throughout the world benefit from Israeli innovations in their mobile phones, car navigation systems, life-saving drugs, and medical devices. Israel?s intelligence services have helped stop dozens of terrorist attacks in dozens of countries. Israel is now self-sufficient in natural gas due to the massive discovery of gas deposits off its Mediterranean coast (called Leviathan). Increasingly, the Israeli economy is integrated with the rest of the world economy. 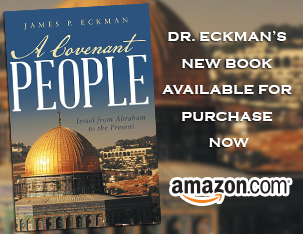 The miracle of modern Israel continues, fulfilling what the prophets of old said would happen as God brings His people back to their land (see Ezekiel 36 and 37). A brief review of history enables the intellectually honest to put the current state of affairs in perspective: When the Palestinians were offered their own state in 1948 as a part of the UN partition of Palestine, they chose a devastating war in which 1% of the Jewish population of Israel was killed. ?In 1968, a Jordanian-born Palestinian, Sirhan Sirhan, educated to hate anything associated with Jews or Israel, assassinated New York Senator and presidential candidate Robert Kennedy. Five years later, [PLO] head Yasser Arafat arranged to have three American diplomats kidnapped and offered in exchange for Kennedy?s assassin. When the US refused to release Sirhan, Arafat personally ordered the torture and murder of the Americans.? In 1972, Arafat ordered the terrorist attack on the Olympics in which several Israeli athletes and coaches were murdered. During the 1970s and into the 1980s, there were airplane hijackings, synagogue bombings and other terrorist attacks against Jewish and western institutions and individuals?all in the name of Palestinian terrorism. But the UN has basically refused to condemn this pervasive history of violence; instead, it has done the opposite?reward it! This is quite astonishing because the Palestinians have been offered statehood on numerous occasions and have each time refused?1938, 1948, 2001 and 2007. The reason they have refused is because it would require the recognition of Israel as a Jewish homeland?and that remains the harsh reality in 2018. Any plan that legitimizes Israel?s national sovereignty will always and forever be unacceptable to Palestinians. There is a long history of Israel?s attempts to ?spread the wealth and share the power? with Palestinians, but each time led to even greater aggression by Palestinian leadership. American brokered peace there has never been realistic. Why we have been sending assistance to the Palestinians is incomprehensible. Our move to Jerusalem should have happened decades ago.